This site is huge in Kenya. They sell loads of brands that includes apparel, beauty products, electronics, household items, phones, computers, and accessories. They aim to serve retail customers in offering products in several categories for their many use. Experience online shopping with seamless ease as you pay with LipaPay right there in the comfort of your house. LipaPay ensures safe and fast payments which makes your e-commerce experience even better. Customer satisfaction is key for them. They have an app that makes things simpler to do as well. They give buyers and sellers the chance to meet with their target audience. They also concern themselves with the safety of both the buyer and seller ahead of anything else. This site makes sure to review everything on the website to ensure you are buying or selling the correct thing all the time. There is also a free listing option available to advertisers. Approval time for ads is up to 2 hours max. The routine is simple, Sellers advertise their items on the website, you browse the items you fancy and then contact the seller directly to arrange things. They are a trusted and cost-effective e-commerce website that deals in quality vehicles. They don’t sell these cars themselves but they connect you to the people who do. 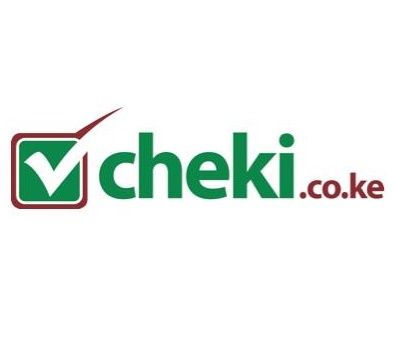 Cars, vans, bikes, trucks and other vehicles are some of the automobiles Cheki specializes in. Checki, with their vast knowledge of the Nigerian market and access to several local buyers use that in their favor by presenting themselves as an ideal export partner for all international car dealers. Established 7 years ago, this is an e commerce site whose aim is to offer the best audio visual and automation solution that has led to their remarkable variety of products like Onkyo, Denon, Harman Kardon, JBL, Klipsch, Marantz, NAD, Sherwood, Polk Audio, Boston Acoustics, Taga Harmony, Wharfedale, Jamo and so on. They are very passionate about their customers as they ensure they provide adequate support and service always. They have the answer to all of your fashion needs. The platform is blessed with various fashion trends such as formal, youthful, trendy, and casual. It is an online store, but it also has a physical store at the Greenhouse at the Adams Arcade. Its delivery services are apt too plus Mimi supports several payment options including mobile money, Pesapal, and Visa just pick your choice and pay for excellent service. It parades itself as the website built to cater for sophisticated needs of the consumer alongside convenience and affordable prices. It aims to transform the way Africa shops! It also promised the best deals available on the internet that can help you save some money as you spend. This is another respected e-commerce site. They offer Keyans a platform to buy items straight from international online retailers. Without MallforAfrica, these companies would’ve been out of the reach for Africans. This website is definitely one of the most reliable when it comes to products purchased so customers won’t have any cause to complain. This is a very large e-commerce site in Kenya. They let customers buy goods directly from any UK online retailers while they settle their bills via payments on mobile. M-PESA & AIRTEL MONEY are the ones being used currently There are more than 1.5 BILLION items to choose from top retailers like Amazon, e-Bay and the rest. They display a readiness to commit to efficient service rendering to their customers by offering massive value, a wide range of choice and the perfect product to match your retail needs. Your goods get to you within 10 – 14 days after you place an order. This online store had to make the list. Established in May 2012, this is Nigeria’s Amazon. It proved its popularity in a country as popular as Kenya when Amazon’s Alxa named it the most visited e-commerce website in West Africa. Every household need is on this website. Ranging from Phones to Electronics, Laptops, Fashion items, Dresses e.t.c. There is always something to capture your attention and make you spend some money whenever you visit. The popular online store did not go with the norm, instead, it provides an information-filled environment for buyers and sellers to discuss and do business. On the platform, sellers are able to design and post ads under the specified categories it belongs to. To be clear, a seller can place an ad for a Home Theatre under the electronics category. These ads and their categorization give OLX a structured design that allows for a quicker way to locate products of interest. There you have it. The list of top E-commerce online shopping sites in Kenya. If you feel we missed anyone, feel free to let, us know in the comment section below. I'm Folami David. From Ogun state. I'm 24 years old. A student. Massive lover of sport and technology. Hobbies are writing, playing video games and singing. Thanks for reading our articles.